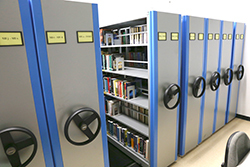 The University Library subscribes to most reputable statistical journals, and has a comprehensive up-to-date collection of statistical and actuarial science books. There is a growing departmental library as well. The Department is well supplied with computing facilities. Every staff member is provided with a desktop computer with connections to the campus network and the Internet. Software for e-mail and browsing the Internet are installed in all computers. There are two computer laboratories in the department for teaching purposes. 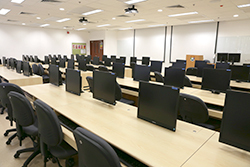 One of the computer laboratories is equipped with 56 computers and the other with 27 computers, all connected with LCD monitors. We have a LINUX server and a web server for supporting our web service. 3 Windows servers are used for sharing files and printers. Other facilities include the networked printer, 4 multifunction photocopiers, etc. Our staff and students can use a lot of statistical software such as SAS with Enterprise Miner, JMP, SPSS, MATLAB, R, R Studio, Python, etc. and other software for compiling programs. Software such as TeX and MS Office are provided for writing scientific manuscripts.